Personal prayer in tongues is the only one of the charismatic gifts that is not by definition oriented to the benefit of others. Prophets prophesy to other people. Healers heal other people. Prophetic words proclaimed in tongues are for other people, who then pray for an interpretation. Yet St. Paul says that tongues is for the edification of the one who has the gift (1 Cor 14:4). How, then, does this gift relate to evangelism? Praying in tongues teaches us to yield to the Holy Spirit. 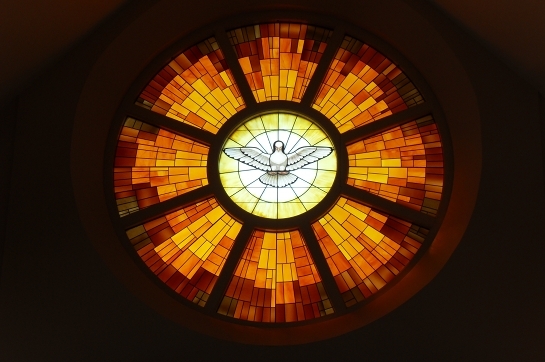 We pray using the words the Holy Spirit gives us in languages that we do not understand. They can be other human languages or angelic languages. As we pray in tongues, we learn to let God speak through us. In Mark 13:9-11, Jesus told his apostles, “You will stand before governors and kings because of me, as a testimony to them.” Then he promised, “Do not worry beforehand about what you are to say; but say whatever is given you at that time, for it is not you who speak, but the Holy Spirit.” Jesus wants us to be led by the Holy Spirit too. The letter to the Hebrews reminds us that “the word of God is living and active, sharper than any two-edged sword, piercing until it divides soul from spirit, joints from marrow; it is able to judge the thoughts and intentions of the heart” (Heb 4:12). God’s words can convert hearts in ways that our words never could. 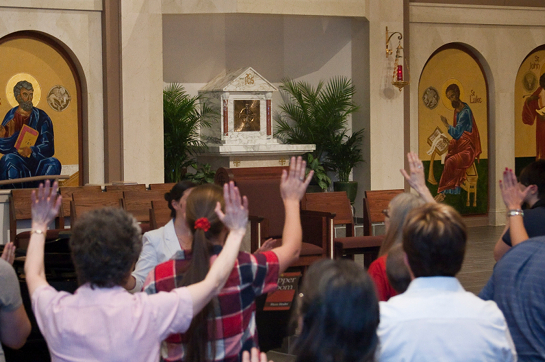 Regular prayer in tongues puts us in the habit of being attuned to the Holy Spirit. 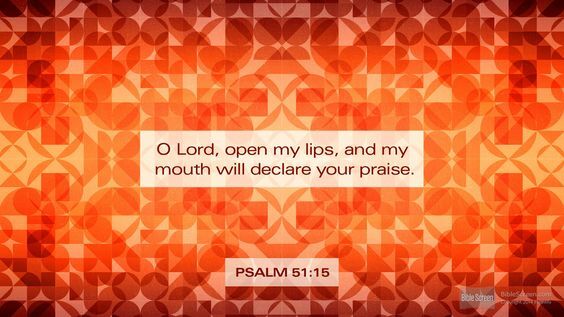 When we pray, we start to speak and he guides our tongues so that his words flow out. The more often we do this, the more easily we will be led by the Holy Spirit. 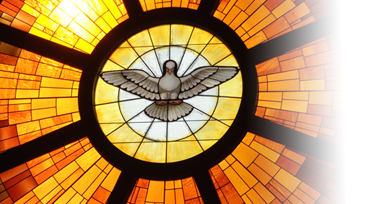 The more we are led by the Holy Spirit, the more people will encounter him through us. This gift affects far more as well. It draws us into deeper union with Christ. Whenever we praise in tongues, lifting our hearts, minds, bodies and souls to him, we receive the love of the Holy Spirit, who is enabling us to worship. We return that love through our words, and thereby enter into the reciprocal love of the Holy Trinity. This is a gift beyond words; it is a foretaste of heaven. 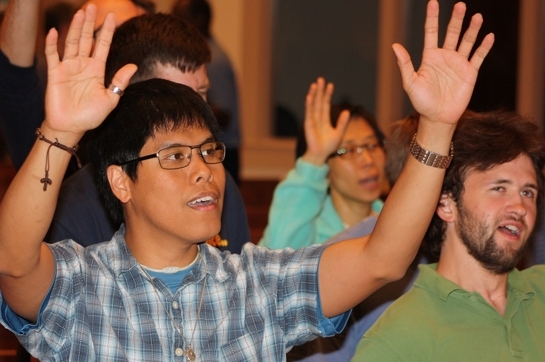 Frequently, our initially-vibrant praise gradually quiets into worship and adoration. We begin to contemplate God, letting spoken words subside. Our hearts gaze upon Jesus and he gazes upon us. It is then that we can often hear him speak to us. He tells us of his love for us. As we receive his love – that is, his Holy Spirit – we become empowered to bring his love to others. (This pattern of praise, worship, contemplation, and listening for prophetic words is also the pattern we enter into every Friday night at Praise & Worship.) The Lord may also give us direction about how he wants us to evangelize. What reply can we give but more praise and thanksgiving? His joy surges through us and when we go out, his love overflows to those whom we meet…as long as we let it. As long as we don’t hold back. And let’s be honest: It can be very tempting to hold back at times. When we decide not to witness to God’s love, though, we break faith with him who has just been drawing us into the very heart of the Trinity. But it doesn’t have to be that way. Jesus wants us to be able to convey his love for others. He wantsto give us his words. He wants to instruct us so that we’ll know what to do. He wants his love to overflow from our hearts in joy so that we can keep living in his love and so that others can too. That is the nature of the three Persons of the Trinity: boundless love for each other and for others. Our participation means inviting others into this union as well. The ultimate purpose of the gift of tongues and all of the spiritual gifts lies herein: that all people may be one in Christ. How important is this? It was Jesus’ prayer just before his crucifixion. “The glory that you have given me I have given them, so that they may be one, as we are one, I in them and you in me, that they may become completely one, so that the world may know that you have sent me and have loved them even as you have loved me” (Jn 17: 22-23). Take the upcoming Life in the Spirit Seminar if you’ve never taken one. Through it you’ll learn more about how to live in the power of the Holy Spirit and you can receive prayer for the gift of tongues. 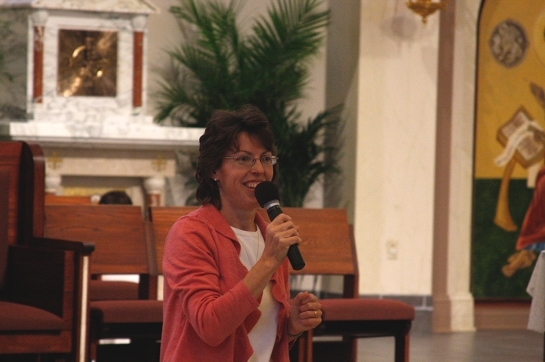 If you have taken a Life in the Spirit Seminar, register for Gifts for the New Evangelization. This class will lead you through the next steps of identifying your spiritual gifts – which God gives precisely for evangelism! – and learning how to use them. You’ll be in small groups with others who have similar gifts. Join in at Praise & Worship each Friday from 7:45-9:15 pm. This is a “training ground” where you can learn to use the charismatic gifts, especially praying in tongues and prophecy. Praise & Worship is specifically designed so that you can encounter Christ and be equipped for evangelism! Ask questions. Especially if this is new to you, and/or if you would like prayer to receive the gift of tongues, talk to any member of the pastoral staff or CTK’s prayer ministers. Learn from the variety of charismatic resources here at CTKUpperRoom.com. Practice, practice, practice. There’s no substitute for actually praying in tongues on a regular basis. Taste and see what a true gift this is! Dear Mother of God,under the title of: Our Lady Undoer of Knots, intercede for me. I am in urgent need of financial help.Have mercy on this poor sinner. I thank You for Your Motherly love. In the name of Jesus I ask for this Amen. 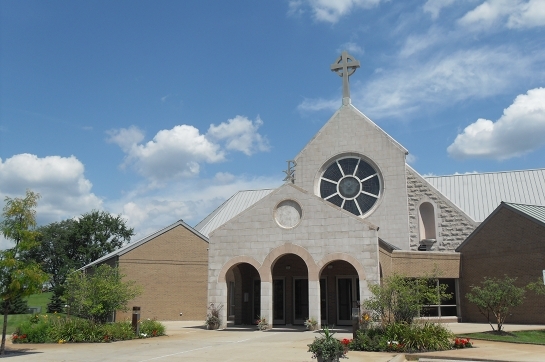 Come Holy Spirit and Renew the Church!! !